Yosemite National Park from Tunnel View with Bridalveil falls in the background. We visited Yosemite National Park in mid-June, 2017. Yosemite National Park is extremely busy this spring/summer owing to the return of the beautiful waterfalls after 5 years of drought. Here are the top 5 things we think you should know if you plan to visit the park this summer. There are a number of Yosemite National Park roads, attractions and services that are closed this summer. Mariposa Grove, by the South Gate Entrance, is closed for restoration until late 2017. Tioga Road (Hwy 120 through the Park) to Tioga Pass is still closed due to snow. 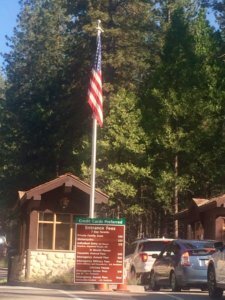 This means there is no access to Tuolumne Meadows or the six campgrounds in the area (Crane Flat, Tamarack Flat, White Wolf, Yosemite Creek, Porcupine Flat, Tuolumne Meadows). 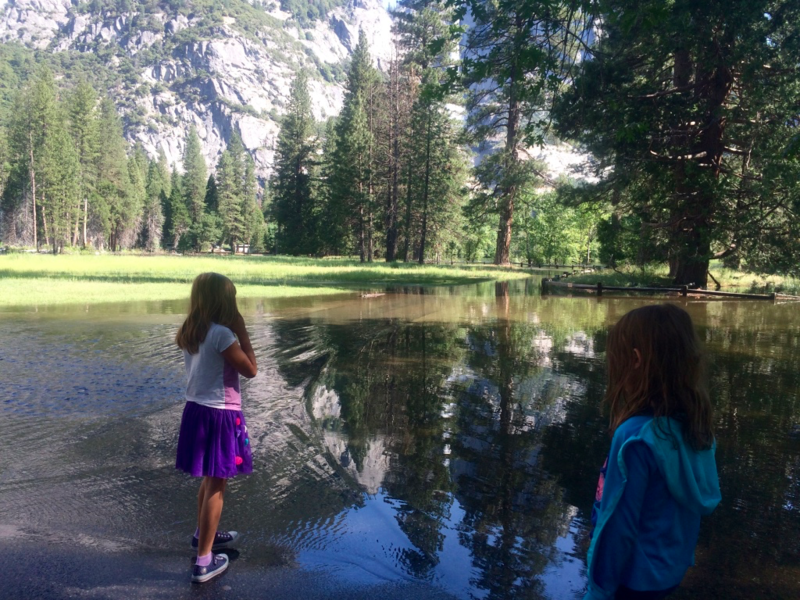 July 19th Update: Tioga Pass is now open! Degnan’s Kitchen and Degnan’s Loft in Yosemite Village are still closed for renovation. They were hoping to be open by June 2017, but when we were there they were still closed. July 19th Update: Dengan’s Kitchen and Loft is now open! The Sports Center is also closed. All river activities, like rafting, are closed as well due to the high water levels and strong currents. These closures mean there is a higher concentration of people in the areas of the park that remain open. There’s still a lot of snowpack in the High Sierra. When it melts it creates fast moving rivers and beautiful waterfalls. The National Park Service website for Yosemite is up-to-date on Park Closures, river levels and fire alerts, so check there often. 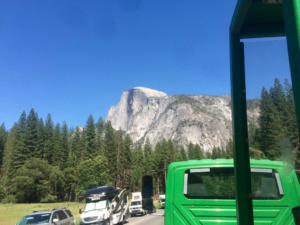 Given the popularity of the waterfalls and the fact that some areas of Yosemite National Park are closed, traffic in the remaining areas is high. 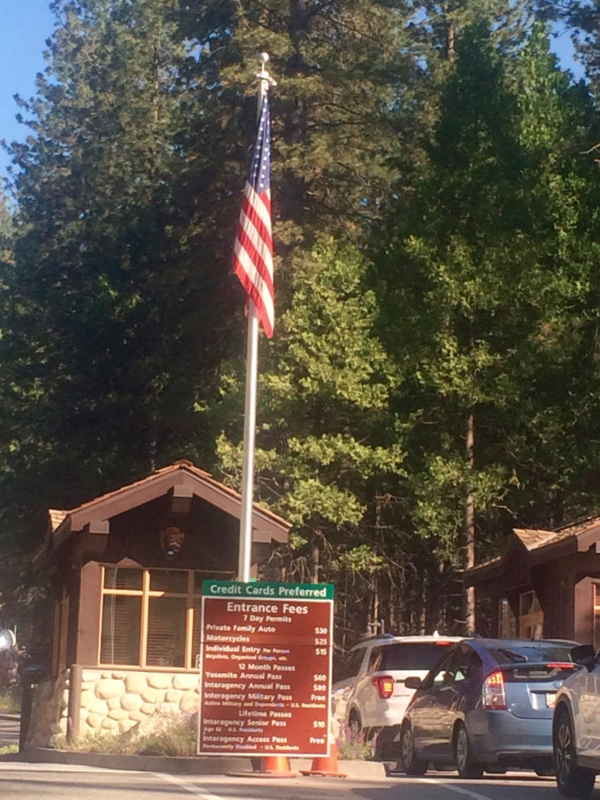 Expect traffic delays at the park entrances, and in Yosemite Valley. If you plan on entering the park after 12PM, the wait at the South Gate could be 30 minutes or more and most of the day use parking will already be full. If you are staying outside the park, plan to be at a visitor parking lot before 10AM. It can take up to an hour to reach the Half Dome Visitor Parking from the South Gate Entrance. Late afternoon traffic in Yosemite Valley can be at a standstill for 1-3 hours. This is because some areas have only one lane. In areas with two lanes, traffic can still be bad because in some areas one lane is dedicated to buses, and in others one lane is under construction. 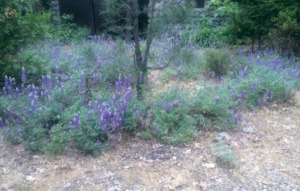 Make sure you have a full tank of gas before entering the park, as there is no gas station in Yosemite Valley. There is a gas station at Wawona just past the South Gate entrance. Traffic also effects the free Yosemite Valley Shuttle, even with the dedicated bus lanes in parts of the Valley. Be prepared to wait for buses and for buses to arrive already full. We lucked out in catching buses but saw others who weren’t as lucky. View of Half Dome from the tram. 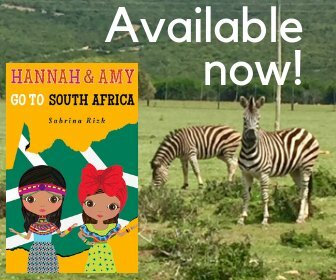 This is a Ranger-led tour. Yosemite Hospitality offers different park tours. If you are interested in one of these tours, book it in advance. 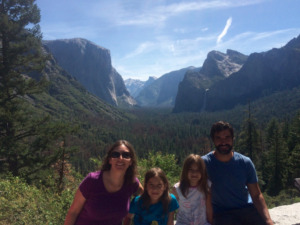 We wanted to take the Glacier Point tour, but it was completely booked through July 4th. I recommend putting your name on a standby list though, as people do cancel and a spot may open up. The Valley Floor tour may not be sold out and is a good tour. 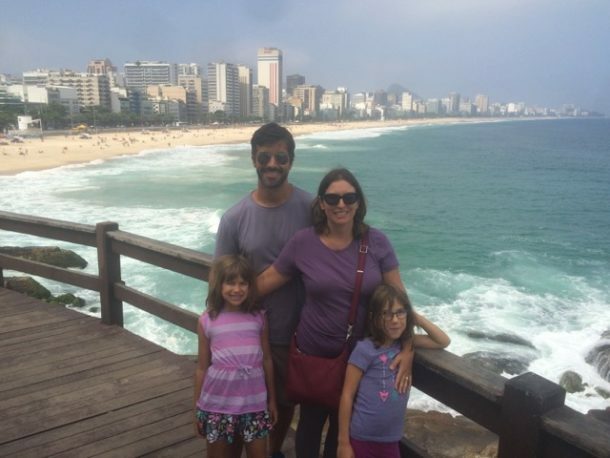 It is in an open-air tram, so wear a hat, sunscreen and have lots of water, particularly in these warmer temperatures. If you can’t make the tram tour, some of the same information can be found in the Visitors Center. If your ordering food from the Pizza Deck in Half Dome Village or the Grill in either Half Dome Village or Yosemite Village, be prepared to wait up to 30 minutes or more to receive your food. The cashiers can take orders much faster than the cooks can fill them! Also note that some food services like The Grill and the Chuck Wagon BBQ closed at 8PM and the Half Dome Village Pavilion closed at 8:30PM. The lines in the grocery store can also get long at times. Playing a game at the Junior Ranger campfire. On the Saturday night we were there, we got stuck in traffic trying to get to the Junior Ranger Campfire near Half Dome Village and didn’t have time to eat beforehand.The campfire ended at 8PM and by the time we got back to Half Dome Village, Pizza Deck was the only restaurant still open. Though our order was taken quickly, it was well past 9PM before we received our food. We realized we had left a bag full of snack food in our car and were worried about bears since it was now after dark. Luckily, the food and our car were still intact when we got back to it. While we were visiting Yosemite National Park, Hwy 140 was closed due to a rockslide. Anyone trying to enter the park at the Arch Gate Entrance from El Portal, Midpines, and Mariposa had to be rerouted to the South Gate Entrance, adding to the traffic there. The rockslide has since been cleared and the Highway has been reopened. Hannah & Amy making their survival bracelets at the Yosemite Arts Center. 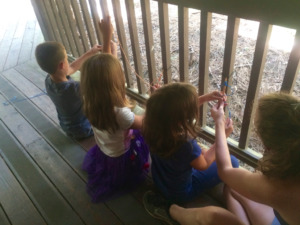 Also while we were at Yosemite National Park, one of the first things my girls wanted to do was the drop-in crafts at the Yosemite Art Center. The person running the Center had a family emergency and the Center was closed for that afternoon and the next three days. Luckily, we were able to come back into the Park the morning of our departure and the girls got to do their craft. There is a foot path under all this water! One other thing to be aware of is that some paths may be flooded, and other trails extremely slippery, due to the high level of snow pack this year. While we were there, the foot path on the east side of Swinging Bridge (which does not swing) was under water. It’s a reminder to remember that Yosemite National Park is wilderness, and anything can happen. Set your expectations accordingly. Is it worth visiting Yosemite National Park in Summer 2017? Despite the traffic, the waiting. and the closures, we still enjoyed our visit to Yosemite National Park. The waterfalls are beautiful, the wildflowers were in bloom, and it really is awe-inspiring to be standing next to such enormous rocks. 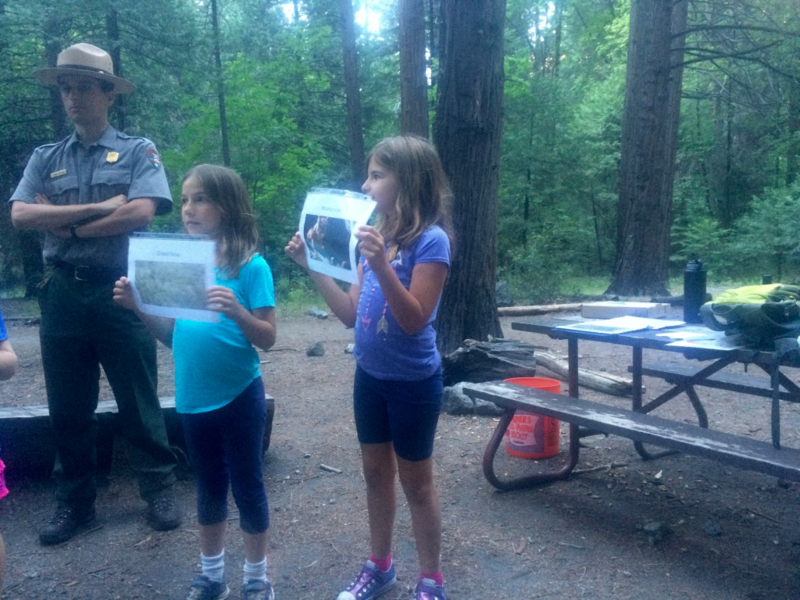 Our girls enjoyed the Junior Ranger Programs and being out in Nature’s Playground (once we pried them from their iPads!)! 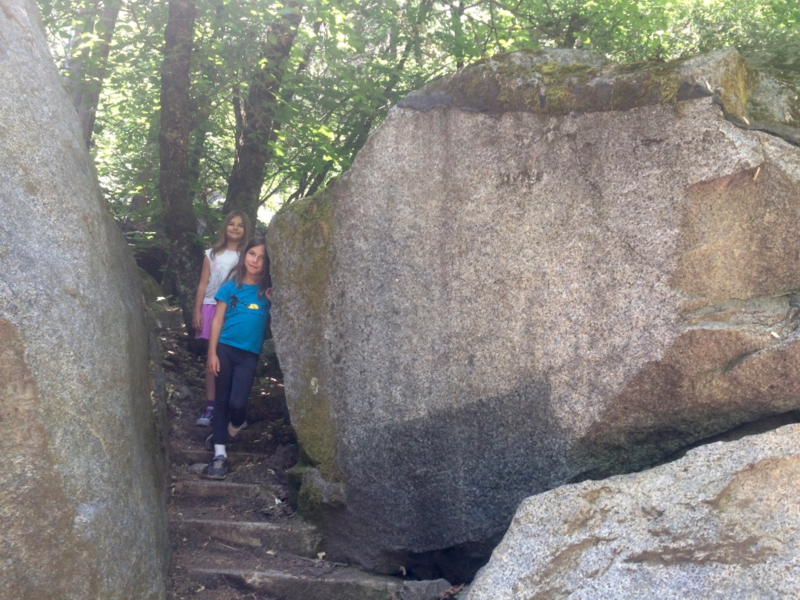 The girls loved climbing on the rocks. One final, bonus tip is to book accommodations within Yosemite National park (usually a year in advance). It will help cut down on the traffic and some of the waiting. If you are local, check for cancellations, as they do come up. On this visit, we stayed in Oakhurst, outside of Yosemite National Park. 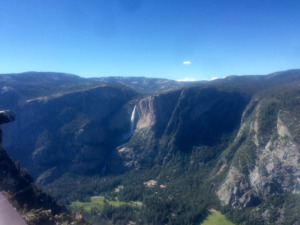 We had to drive a minimum of 90 minutes each way to reach the Valley or Glacier Point. We definitely plan on staying inside the park on our next visit. Overall, I still recommend visiting Yosemite National Park in summer 2017.